Unit 45160 (WD348) was bought back in 1989 by private British collectors and transferred to the United Kingdom. 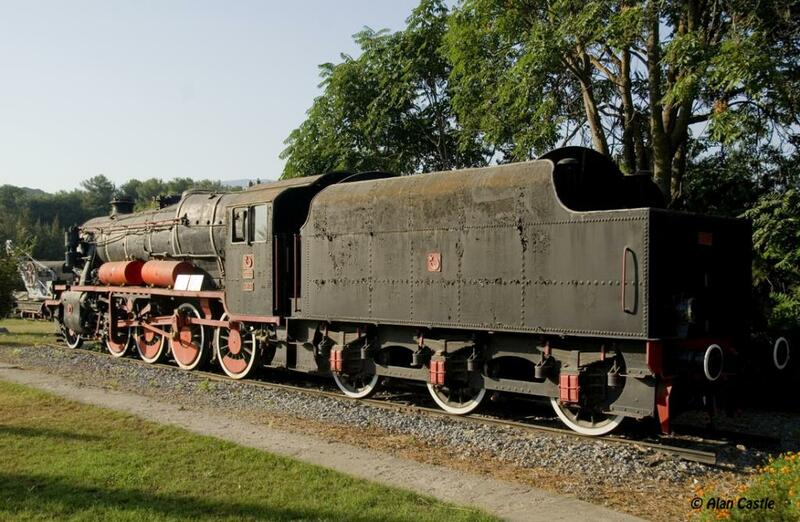 She is now restored to the original LMS type and working on the Gloucestershire Warwickshire Railway "The Honeybourne Line". 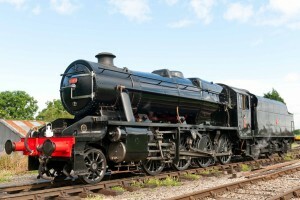 Units 45166 and 45170 were brought back to UK in 2010. Other WD 8F preserved: LMS 8233 (WD 307), this engine served in Persia and Egypt before returning to the United Kingdom, where it is preserved in working order. 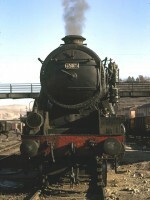 It is currently based on the Severn Valley Railway. Just before World War II, the British War Department (WD) realized the need for a modern engine, suitable for service on the front and choose an existing design from the LMS: the 8F type designed under the leadership of Sir William Stanier. From 1939 to 1941, the WD placed orders for a total of 208 engines with three suppliers: North British Locomotive, Beyer Peacock and Vulcan Foundry. 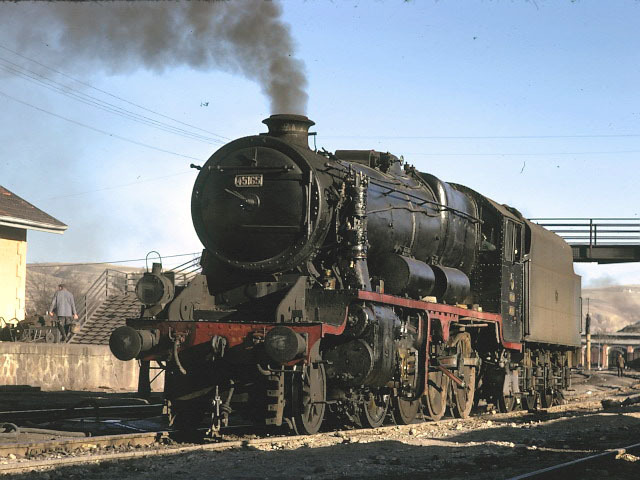 In addition, the WD requisitioned 51 engines from the LMS in 1941. The delivery started in May 1940 and the engines were soon dispatched to Egypt, Palestine and Persia on military assignments. In 1944, some engines went to Italy. 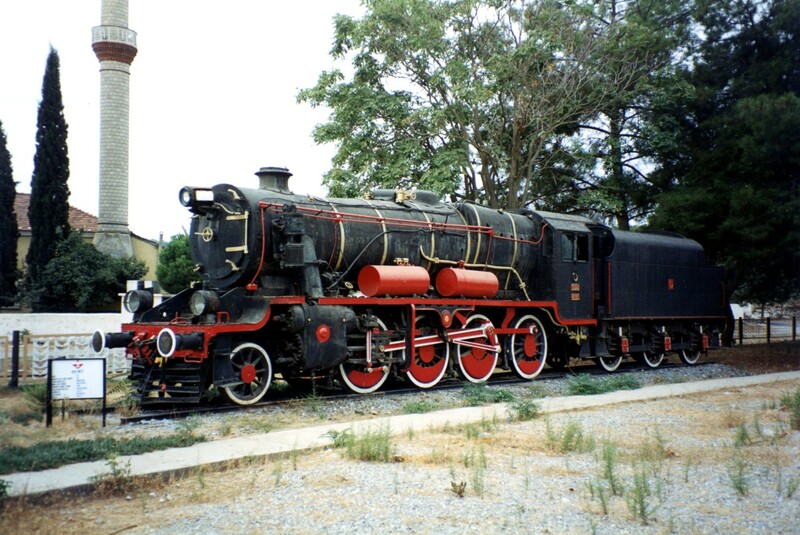 the engines were a partial replacement for a pre war contract for 58 (or 68?) 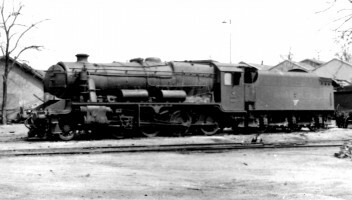 locomotives, 2-10-0 of the 1E type that could no longer be supplied by the British industry under the original price and conditions. Britain feared that friendship of neutral Turkey could not be maintained if it did not send some equipment. Remember that in 1943, Germany supplied to Turkey 53 BR52 kriegsloks . * The Turkish government made sure that this fact was well known to British spies. 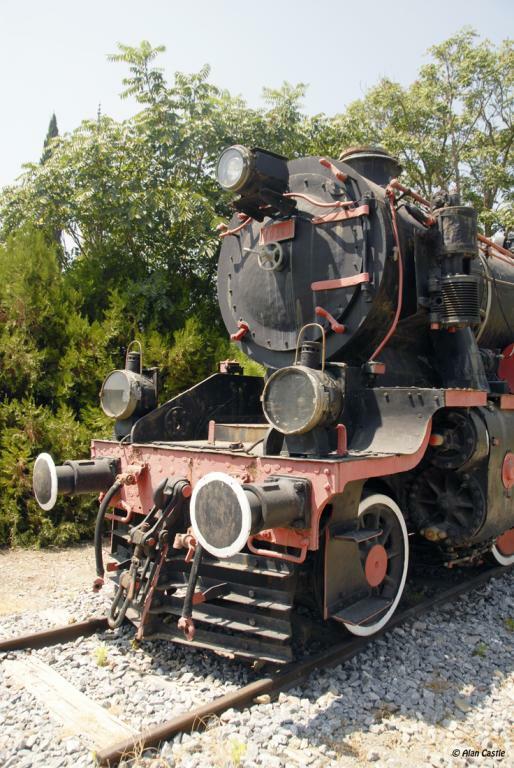 The Allies wanted Turkish railways to keep improving should a military supply route through Anatolia become needed. 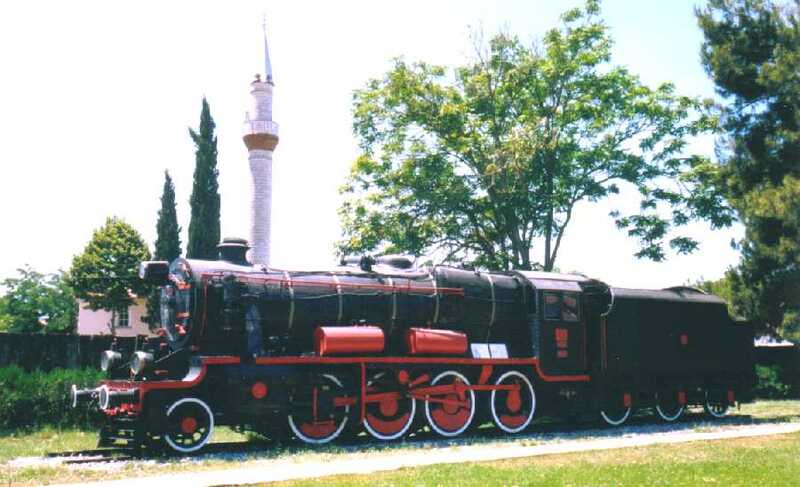 This first shipment showed that the 8F were suitable for Turkey and the British Government announced in 1941 that the last batch of 24 8F being built will be send to Turkey as well. 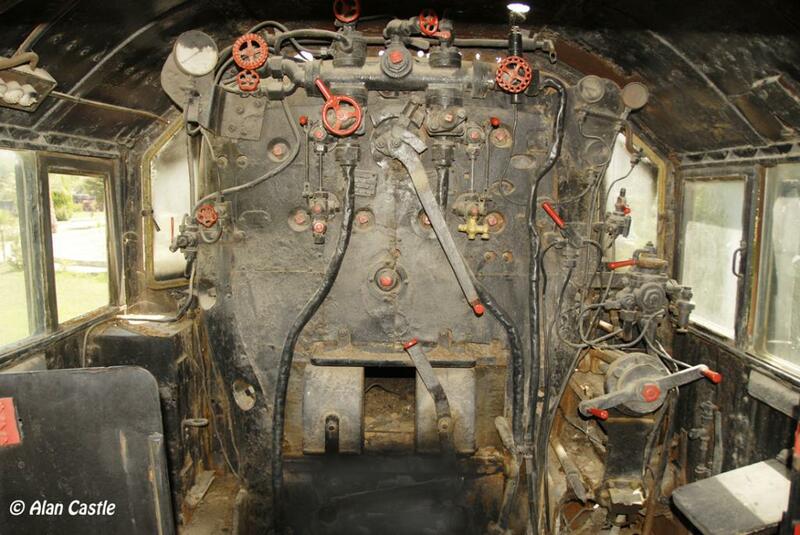 But this did not happen as British put the engines to work on the LMS. 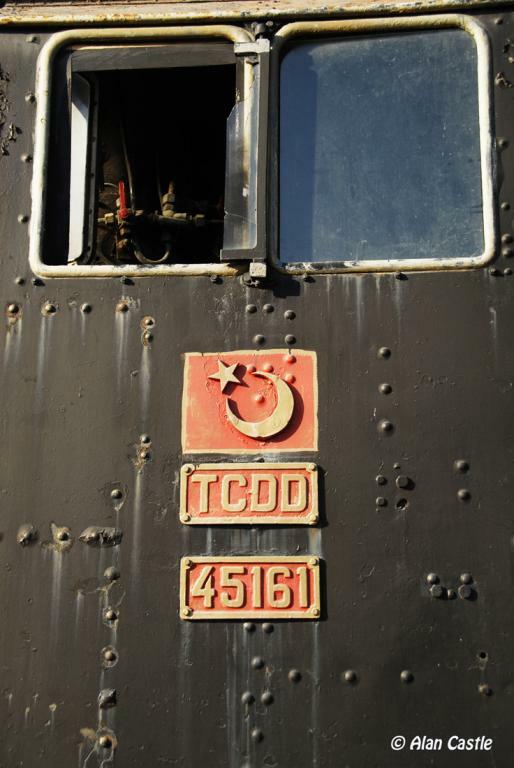 However, 2 units were finally shipped to Turkey in 1943. L932 4/1941 4 338; 354 to 356 Berhala 4 lost when the ship was torpedoed near Freetown, 23/5/41. 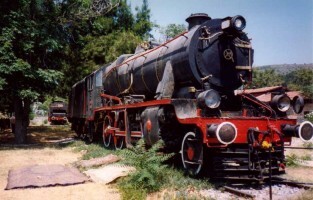 The 8F were shipped partially broken down, in 23 crates. 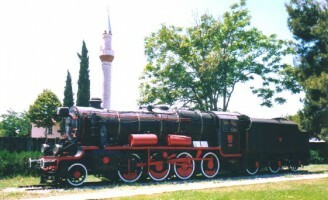 The biggest component was the assembled frame and cylinders weighting 25T. The ships went by way of the Cape and the Suez Canal and were unloaded at Port Said. This coincided with the German Afrika Korp attacking towards Egypt. 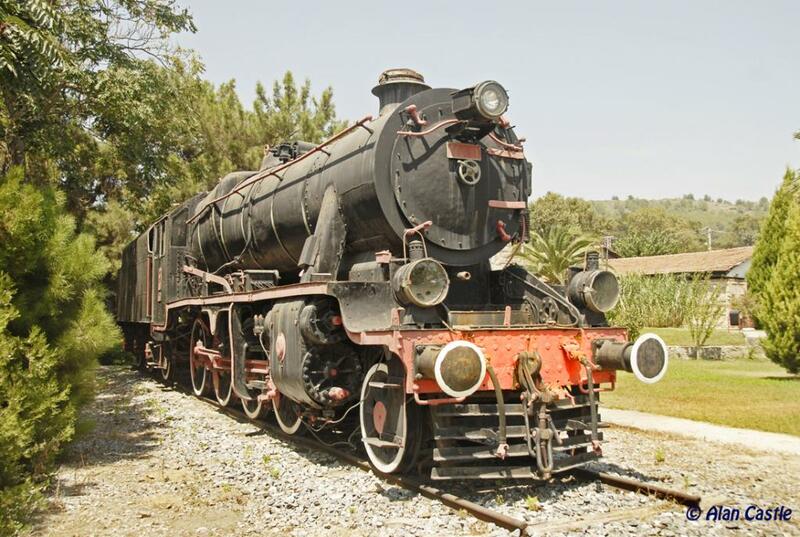 Thus the 8F transfer towards Turkey while all the port resources were used to move war supplies for the British Army. 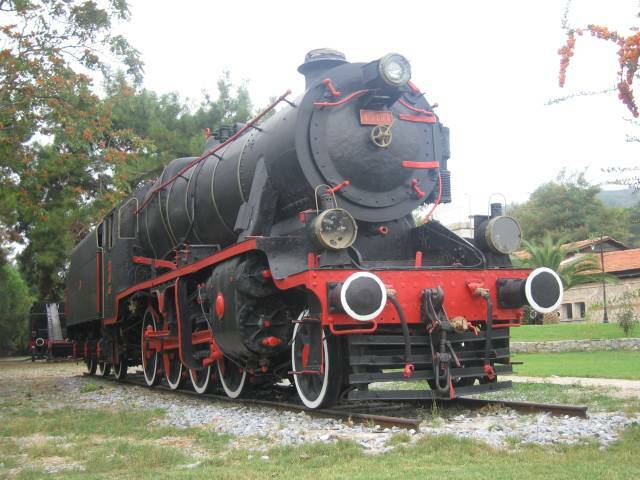 This delay was used to prepare the port of Iskenderun to received the 8F as well as 600 wagons that were part of the order. The cranes were overhauled and the port track layout altered. 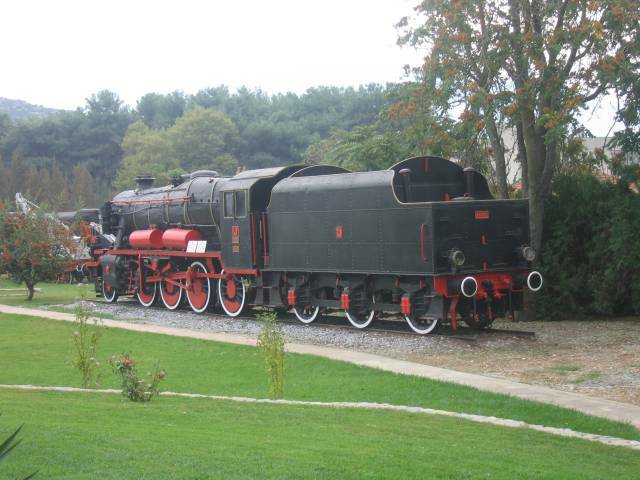 Once in Iskenderun, the locomotives parts were send by train to Sivas for assembly under the supervision of Mr. R.G.Jarvis from the LMS. 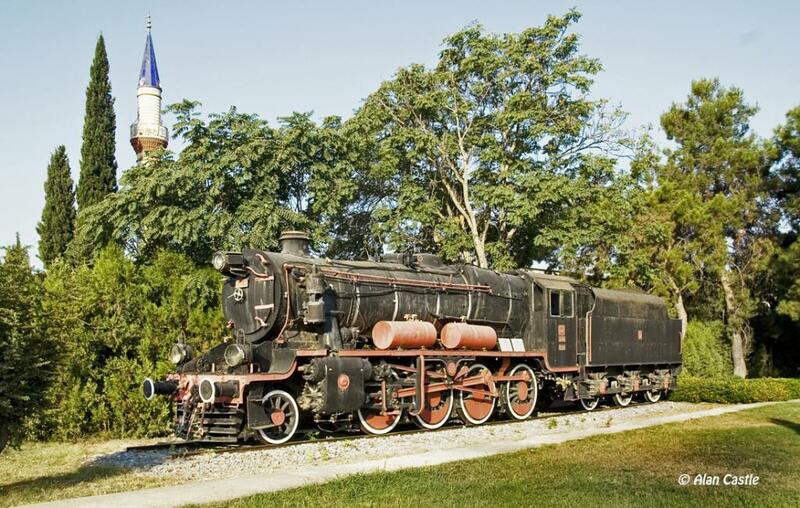 The Turkish railway men immediately dubbed them 'Churchills'. 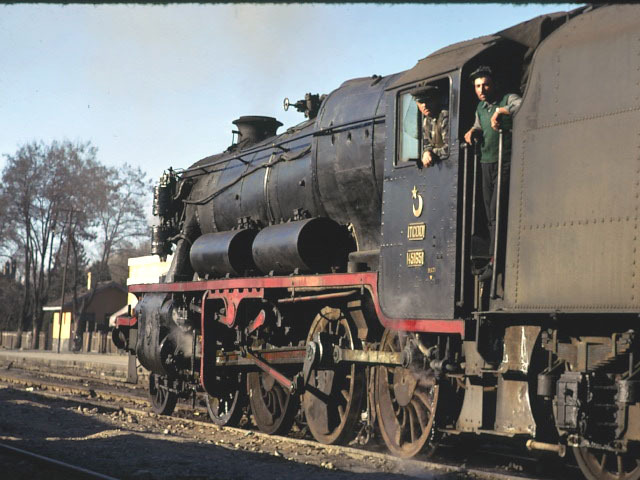 JPW Rowledge reports in "Heavy Goods Engines of the War" that "for the benefit of the Turkish owners, Derby produced a very comprehensive description and maintenance manual, in English of course". they were not powerful enough to tackle the heavy grades. they lacked drop grates essentials for long distance running (to be checked). They were soon transferred to local and shunting works throughout the network. The constant state of motive power shortage in Turkey kept them working well into the 1980's. 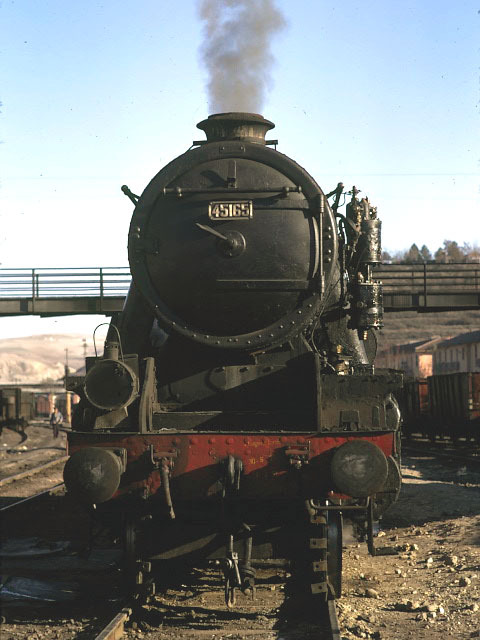 45161 in Eskişehir Works 19th April 1956. Photo Alan Swale.